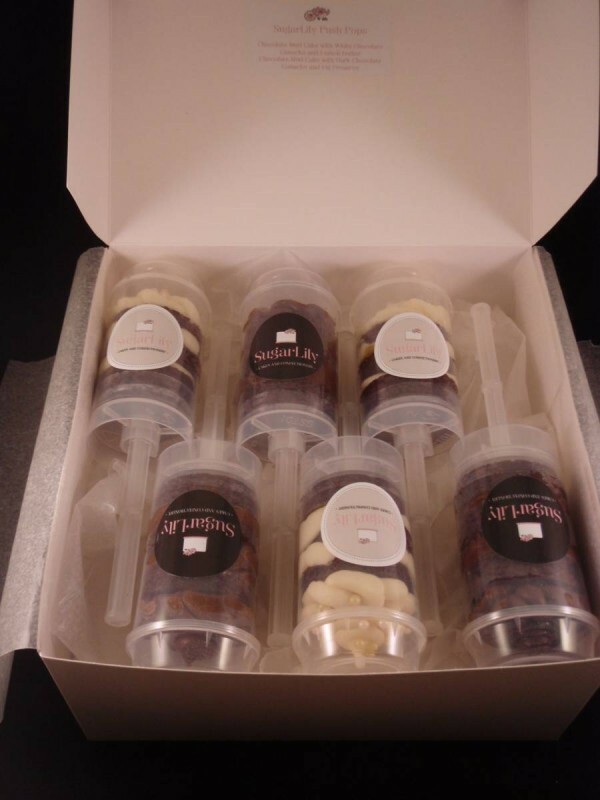 Discs of delicious chocolate mudcake, smooth and velvety ganache, white chocolate with lemon butter and dark chocolate with fig preserve, layered in a fabulous little push pop container and decorated with edible sugar pearls. 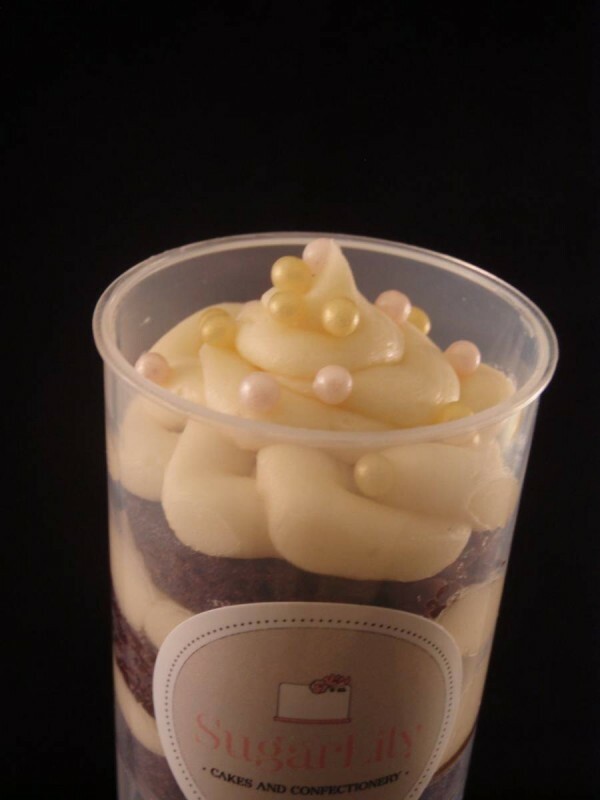 These are the perfect little treat and make a nice change to a traditional slice of cake or a cup cake. 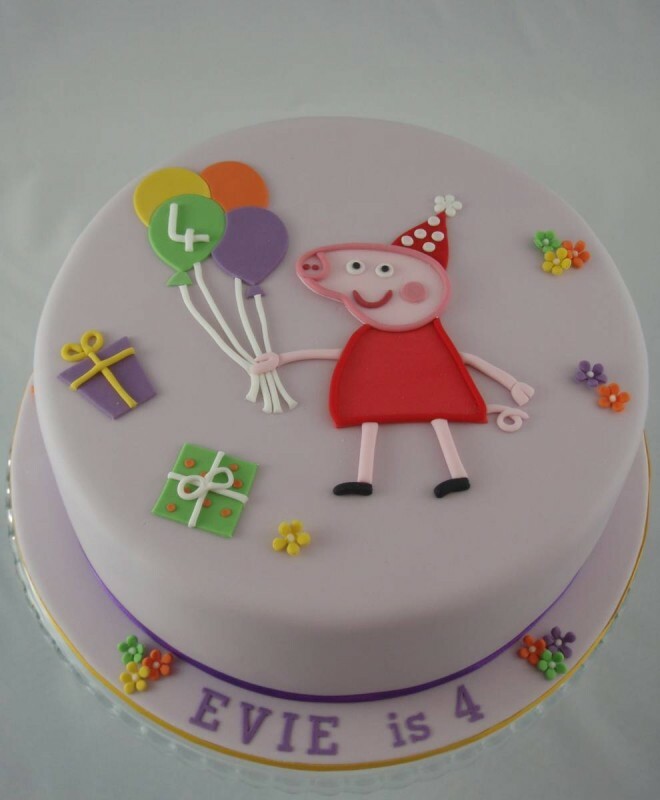 This bright and colourful version of Peppa Pig’s Birthday Party was tailored especially for a little girl whose favourite colours are purple and yellow. 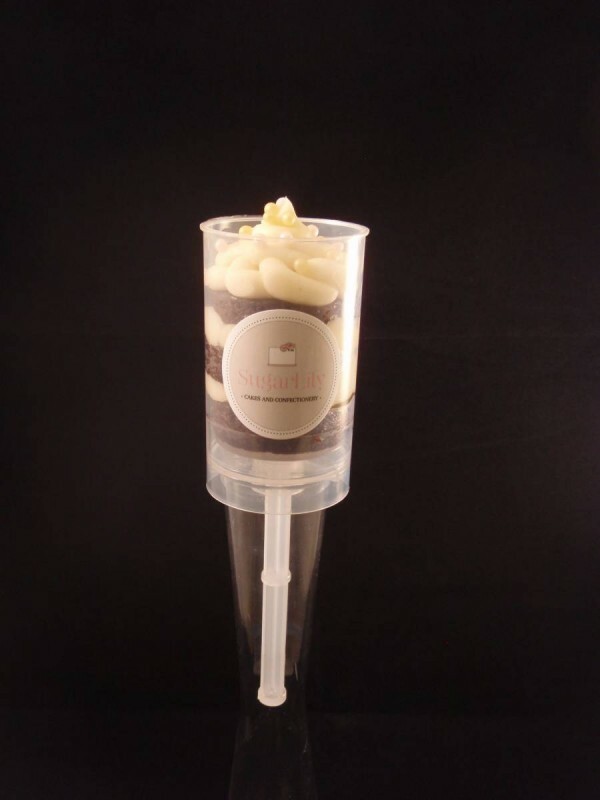 Moist chocolate cake was layered and coated with a smooth chocolate ganache then covered in a pale purple fondant. 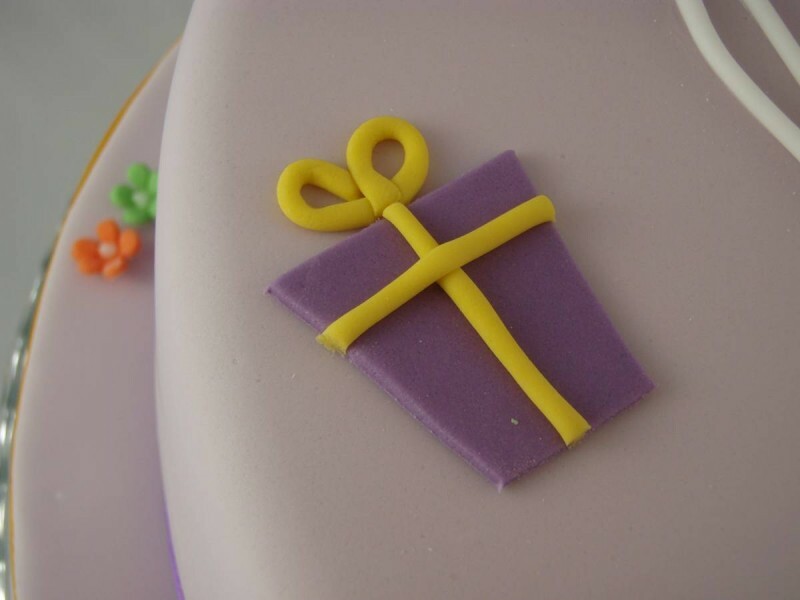 Peppa and her party accessories were handcut from fondant to decorate the top and the cake and board were trimmed with co-ordinating ribbons.